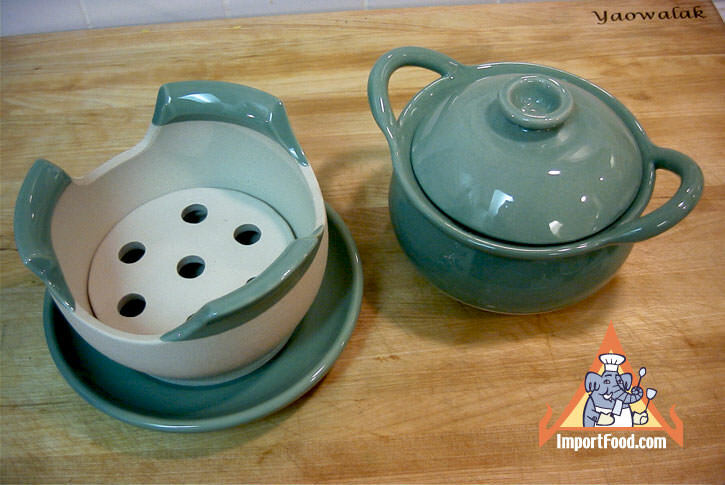 For elegant presentation of Thai soup such as Tom Kha or Tom Yum, or anything you prefer, here is an excellent quality ceramic hot pot with base. There are 5 pieces to the set. The base, as shown, has a thick clay disc that sets inside, this holds the sterno or tealight candle. The base itself sits on a ceramic plate glazed in an attractive green. 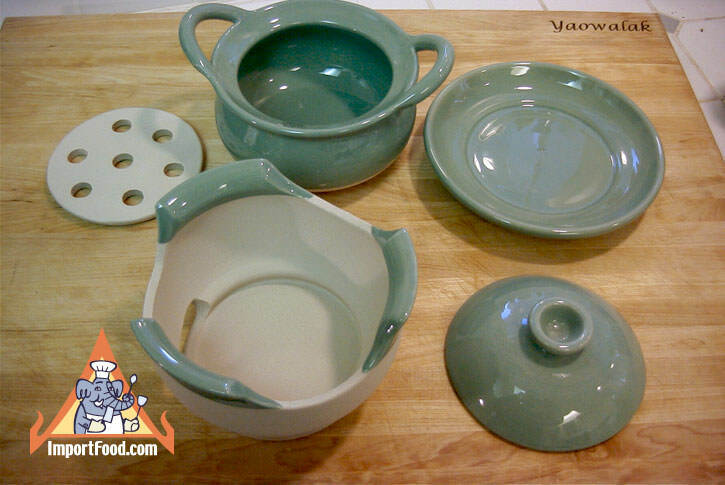 The serving bowl with lid is beautifully glazed, and sets on top of the base. The set is about 8 inches tall and 6 inches wide. 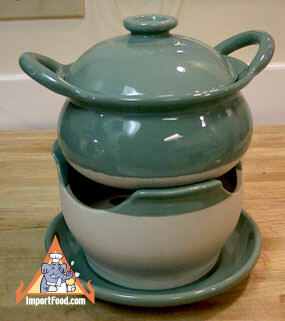 The bowl has a 3.5 cup capacity, perfect for a spicy Thai soup serving 1-3 people.